We appreciate the great response to the calendars! We are currently out of stock. A limited quantity of calendars may be available at a future time. We also have approximately 40 slightly damaged calendars on hand. Please email if you are interested in future offerings. September is a month Air Race fans have always looked forward to. But this year was different! This year, September brought us something to remember this special month with ALL YEAR LONG! 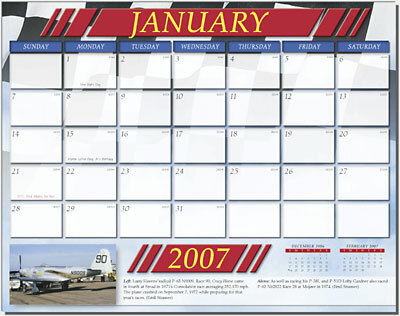 A real, live, glossy paper, professionally printed AIR RACE CALENDAR!!! That IS the real year after all isnt it? 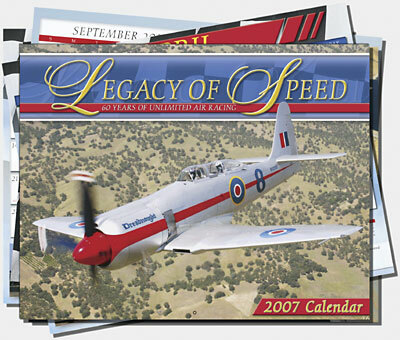 Measuring in at a large format 11" x 14" when folded, the Legacy of Speed  60 Years of Unlimited Air Racing calendar opens to an impressive 14 inch wide by 22 inch tall wall display! Filled with high quality photography applied in the normal picture over days format, this work of art time keeper takes the racing theme a step further. 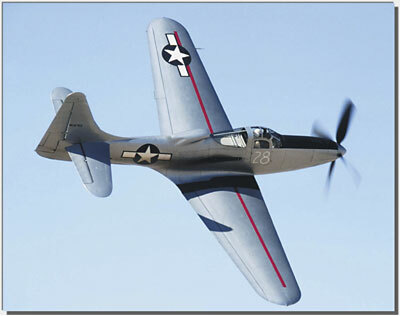 Pertinent Air Racing facts are embedded in the days of the month along with holidays and other normally expected calendar fare. Air Racing has a rich and very colorful history and this first edition of what will be an annual publication covers the first 60 years of the "heavyweights" in this fastest of motorsports. Unlimited Air Racing at its best! 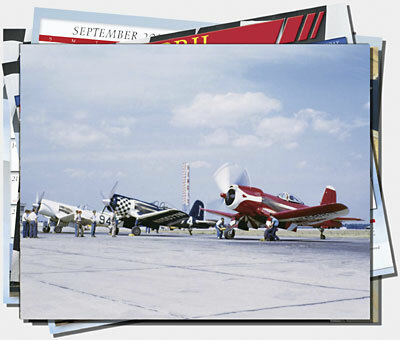 Featuring some never before published photos, the calendar includes a collection of some of the most noteworthy Raceplanes that have polished the pylons of this great country, from Cleveland to Phoenix and beyond. Legacy of Speed  60 Years of Unlimited Air Racing is the creation of a group Air Race fans and photographers and is being produced in association with In Flight USA and AAFO.COM. First edition printing was limited. Response has been fantastic and nearly all of the first printing of this air racing gem are already in the hands of the fans of this great sport.